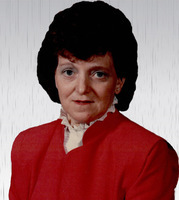 Provide comfort for the family of Marlene Schmidt with a meaningful gesture of sympathy. Marlene Katherine Schmidt (Stich) was born on Tuesday, September 9, 1941, in Melville, SK. She was the youngest of 13 children. She passed away peacefully on Tuesday, March 12, 2019, among family and friends. Marlene married the love of her life, George Schmidt of Melville, in 1960. They had four children, Lorna, Greg, Nancy and Brian. Marlene was predeceased by her husband, George; parents Michael and Elizabeth (Haberstock); daughter Nancy; brothers Edward, George, Ernest, Gordon and Harold; sisters Mary, Hilda and Irene; in-laws Helmuth Hack, Hank Dykstra, Grace Stich and Alan Erhardt; and good friend and companion, Elroy Assman. She leaves to cherish her life and mourn her passing: daughter Lorna (Pat Shanks) and children Brendan, Raymond and Danielle of Edmonton; son Greg (Lynne) and children Joshua, Connor and Ben of Winnipeg; son Brian (Pam) of Calgary; sisters Doreen Erhardt and Viola Hack; brothers Allan (Pat) Stich and Edwin (Evelyn) Stich; in-laws Allan Churchman, Joyce Stich, Leona Stich and Doreen Stich; and numerous close and loving family and friends. The family would like to thank the wonderful staff at St. Peter’s Hospital, who looked after her with such great care. We would also like to thank Carol Baber, Arlene Hack and Doreen Stich for their care and compassion over the last few months. Marlene has ridden into the sunset to be with her soul mate, prince and cowboy husband, George. The one passion they had was riding together, and now they can do that forever. To celebrate a life well lived and to recognize a community that was so important and supportive, there will be a celebration of Marlene’s life on Monday, May 6, 2019, at 2:00 p.m., at the German Heritage Club Hall, Melville. Her cremated remains will be interred at a later date at a private family service. Arrangements are entrusted to Matthews Funeral Home, Melville. Do not weep for me for I have not gone. I am the wind that shakes the mighty Oak. I am the gentle rain that falls upon your face. I am the spring flower that pushes through the dark earth. I am the chuckling laughter of the mountain stream. I am the memory that dwells in the heart of those that knew me. I am the shadow that dances on the edge of your vision. I am the wild goose that flies south at Autumn’s call and I shall return at Summer rising. I am the stag on the wild hills way. I am just around the corner. Therefore, the wise weep not. But rejoice at the transformation of my Being. 5th Ave. & Saskatchewan St. This is a public celebration of Marlene's life. Donations are being accepted for: Good Shepherd Lutheran Church Memorial Fund. We encourage you to share your most beloved memories of Marlene here, so that the family and other loved ones can always see it. You can upload cherished photographs, or share your favorite stories, and can even comment on those shared by others. Our sincere condolences for your loss. Marlene was a very special person in my life and my families life. My cherished memories of Marlene center around the many hours we spent together riding horses down dusty, wet, hot, cold, windy trails. Too numerous to count. We would always chuckle if George would try to predict if those far off rain clouds were going to dampen our spirits or soak our blankets - he wasn't gifted as a weather man but even the weather men don't get it right. One particular day long trail ride brought weather no one anticipated with gale force winds and blinding driving rain - we all managed to arrive back safely to the Serfas ranch; however, we all look like we had been on a 30 day cattle drive with unrecognizable faces caked with mud. That same day the roof blew off Marlene's work place!! We also enjoyed many a card game with Marlene and George - we just loved hanging out with them. We even took our horses for a weekend to the family cabin, broke a few trails and played horseshoes on the beach till the wee hours of the morning.